With the airing of last night’s Supernatural episode S5.21 Two Minutes to Midnight, the hit CW Network series starring Jared Padalecki, Jensen Ackles and Misha Collins made it to the top of the season five hill. Now comes the exhilarating rocket ride to the end of the season finale episode S5.22, Swan Song, which airs this coming Thursday, May 13th at 9PM EST. 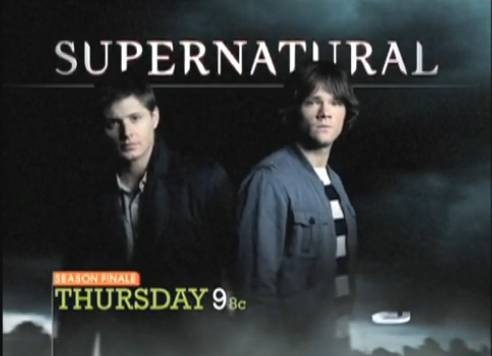 Of course the foreboding sound of finality to the title leaves one wondering if Supernatural creator, Eric Kripke knew that the series was going to be renewed for a sixth season before he came up with it. That’ll be a good question for convention attending fans of the this dynamic action series to asked the stars next time they see them. Meanwhile, while viewers and the fans wait for the ultimate ending of Supernatural season five, the good folks at The CW Network have provide a teaser clip and a promo clip of S5.22 Swan Song to get everyone excited about the Winchester brothers showdown with Lucifer to try and put him back in his box. 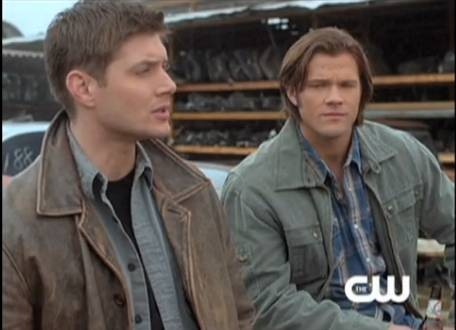 SUPERNATURAL — “Swan Song” The showdown between good and evil is at hand. With the Apocalypse looming, Sam (Jared Padalecki) and Dean (Jensen Ackles) realize they are out of options and make heart-breaking decisions that will change their lives forever. A beloved character faces death. Check out the sneak peek vid and trailer and then tune to the CW Network next Thursday night at 9PM to see the stunning finale of Supernatural’s season 5. Previous PostTELEVISION: The CW Basks in Moonlight!Next PostHOLLYWOOD INSIDER: Sean Patrick Flanery On The Joys of Mongolian Death Worm and More!